Choosing a wedding venue is an important decision. But in today’s wedding landscape, pretty much anything goes. You can get married in a church, on the beach, aboard a cruise ship or while skydiving (if you go to Vegas). The problem couples face is not a lack of venue options, but too many. So how do you choose a wedding venue? To add to this decision even more, couples also have to think about their budgets, whether or not their preferred wedding venue is actually available on the date they want it, whether they can afford it, and whether guests will be able to get to it (especially if it’s halfway up a mountain). The whole purpose of the wedding is for you and your partner to exchange vows and make a commitment to one another. As a result, your wedding venue should reflect your values, tastes, and interests. Rather than putting on a show for your guests, you need to feel authentic in your own skin and that you really own your wedding ceremony and aren’t just going through the motions. 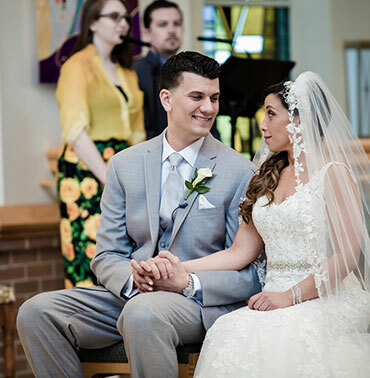 For those who have a traditional approach to life, a church wedding is ideal. But it’s not the only option. In fact, for couples who like to live life on the edge, it doesn’t seem appropriate at all. 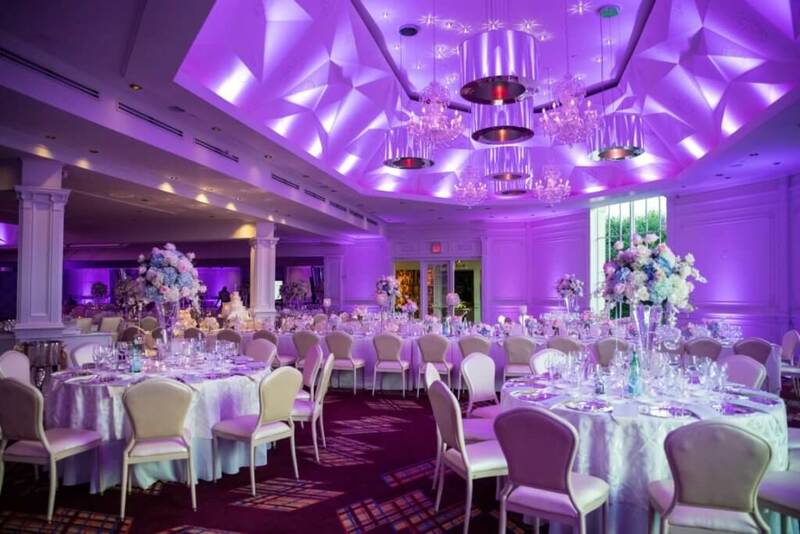 Find a venue that matches your particular style and make it your own. The decision of which venue to choose shouldn’t just be a reflection of what you want. It’s also important to take into consideration the guest experience too. Finding a venue that is close to hotel accommodation, just in case some of your guests want to stay overnight once the reception comes to an end. Providing hotel accommodation might seem like it should be relatively straightforward, but it actually requires some considerable organization. Not all wedding venues will be close to hotels, nor will they all have the availability to put your guests up. As a result, it’s worth finding out in advance who wants to stay and who doesn’t, and only afterward looking for a hotel to match. Is The Venue Large Enough For Your Guest List? Another thing to consider when choosing a wedding venue is your guests. If you and your partner have a “special place” to get married in mind, make sure that it is compatible with your guest list. Often, in their excitement, couples will invite hundreds of people to their wedding, forgetting that they might not have space to accommodate them all ending up with too many guests for their wedding venue. Likewise, don’t choose a venue that is too large compared to the number of guests, otherwise, your wedding will wind up feeling empty. Venue owners want you signed up as soon as possible so that they can fill their timetable and make money. But don’t feel pressured into signing up immediately to keep the date open. Most venues will offer some flexibility, holding dates open for a week or two while you and your partner come to a final decision. Use this time to work out whether you can afford the venue and get your wedding finances sorted. When it comes to wedding planning, finding a venue that suits your budget is essential. The last thing you want is to be saddled with wedding debt or to have to cut back on something else, like the catering. 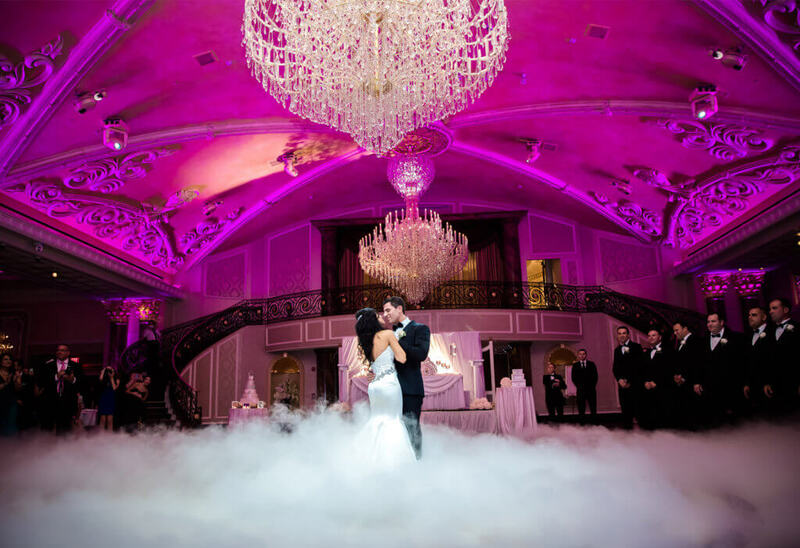 The price of a wedding venue isn’t just related to the upfront cost of the space. It will also go up depending on the number of people you invite. What’s more, if you want to decorate a venue, the price of decorations will usually scale with the size of the site. Because of this, meticulous budget planning should form a core part of your planning process. You want to find a wedding venue that ticks all your boxes without leaving you in financial ruin afterward. One tactic is to prioritize your vendors. Suppose the decorations and the theme of the wedding are more important to you than the actual location. If so, you may be able to save money by cutting down on the size of the venue while keeping a high standard of decoration. Alternatively, if the location of the wedding venue is crucial, then check to see whether there are any alternative vendors for the flowers/decorations who are willing to do it cheaper. 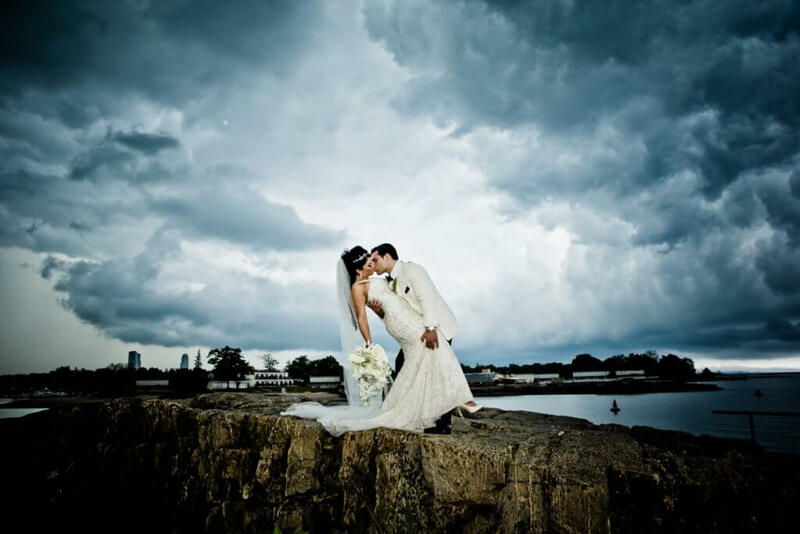 In some parts of the world, the weather can be unpredictable, especially for weddings near the coast. As such, it’s a good idea to have contingency plans in place, just in case the heavens open. A great option is to have a marquis available on the day. If it does decide to get stormy outside, guests can quickly pick up their chairs and take them inside, and the ceremony can continue. Make sure you discuss any contingency plans with the venue owner before the big day. Make sure that they have a working plan for how to deal with a downpour right before you say your vows. Part of planning the perfect wedding is finding people you think will do a great job on the big day. 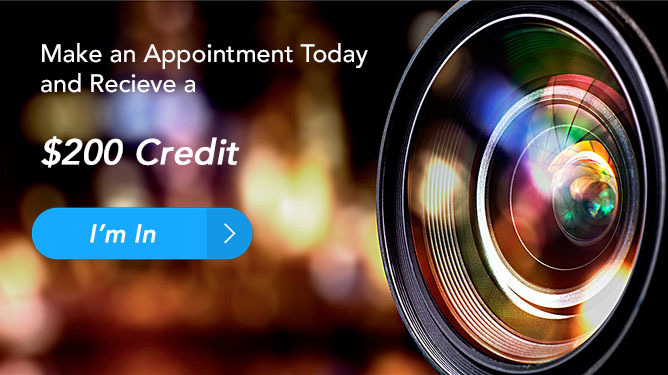 No doubt, you’ve interviewed florists, photographers, and entertainers and picked the best of the bunch. But some venues have strict vendor policies and will only work with their list of “approved” people. As a result, you could be forced to work with vendors you didn’t choose. Not all wedding venues are like this, however. Many have “preferred vendors” which they advertise as part of their sales negotiations, but they don’t force you to use them if you decide to take the venue. It’s a good idea, therefore, to find out what the venue’s vendor policies are before signing any contracts. Additionally, find out why your venue promotes certain vendors. Is it because they are really good at what they do and help to add to a positive guest experience? Or is it because the venue gets a kickback if you buy their services? Most venues have excellent food preparation facilities. But the quality of food from one venue to another can vary markedly. Instead of waiting until the big day to find out whether the quality of the food is good or not, ask the venue to whip up some food for you and your family to sample in advance. Then you can decide together whether the in-house food is good enough, or whether it’s worth hiring in outside caterers. Secondly, it’s important to discuss the issue of dietary requirements with the venue staff. Can they provide gluten-free, vegetarian and vegan options for your guests? Nothing is worse than believing your wedding party will be the only people at the venue, only to turn up and find out otherwise. As a result, it’s essential to check in advance whether you’ve been granted exclusive use of the venue, or whether other members of the general public will be allowed on site too. In some venues – like beaches and parks – privacy is difficult to achieve. At others, private spaces may be granted, but the noise from elsewhere in the building or the surrounding area, like the sound of loud music, may ruin the vibe. As always, do your homework before committing. For most couples, the ceremony is only a small part of the wedding. Most of it is spent talking to guests, eating food and dancing at the reception. Thus, weddings need many spaces for different uses. Some weddings can be managed entirely on a single site, especially at all-inclusive venues like hotels, golf clubs, and pubs. Others require guests to move between one location and another (for instance, from the site of the ceremony to the reception). If you plan on having a disco afterward, you’ll need a clear area for this too. You’ll also need a separate space outside the main wedding ceremony for guests to wait as food is prepared. Sometimes it can be hard to nail down exactly what type of venue you want. There may be elements of a particular venue you like, but there might also be things you don’t. Instead of endlessly traipsing around looking for the perfect place to magically appear, take photos of the things you like (as well as the things you don’t) and share them with an experienced wedding planner. A wedding planner will be able to direct you quickly to venues that meet your criteria. Choosing the perfect wedding venue is never easy. But if you follow these tips, you’re much more likely to find a special place both you and your partner will remember fondly for a lifetime.